On October 28, 2015 sixteen Democrats from the House of Representatives including —Zoe Lofgren, Michael M. Honda, Judy Chu, Katherine M. Clark, Elijah E. Cummings, Anna G. Eshoo, Tulsi Gabbard, Luis V. Gutierrez, James A. Himes, Ruben Hinojosa, Eddie B. Johnson, James P. McGovern, Frank Pallone Jr., Jared Polis, David E. Price, and Alma S. Adams — issued a letter addressed to the Secretary of Homeland Security, Jeh Johnson concerning drastic revisions made to the Visa Bulletin on September 25, 2015. In the letter, House Democrats argue that the revisions to the Visa Bulletin have compromised the integrity of the immigrant visa process, and resulted in a lose of faith in our immigration system. More over they argue that these revisions have adversely impacted the lives of thousands of immigrants, the American businesses who employ highly skilled workers, and our economy which benefits from retaining highly skilled workers. As previously reported, the Department of State had published a dual chart system on September 9, 2015 with the addition of a new ‘date of filing chart’ which first appeared on the October Visa Bulletin. This new ‘date of filing’ chart was implemented in an effort to modernize and streamline the immigration process, as part of President Obama’s executive actions on immigration reform. The introduction of this chart would have made it possible for thousands of highly skilled immigrant workers and family members of qualifying relatives to apply for adjustment of status to permanent residence before an immigrant visa would become available to them. Although, the new date of filing chart allows for filing of the immigrant visa application at a much earlier date than before, final adjudication would not have occurred until an immigrant visa became available. Previously, highly skilled immigrant workers and family members of USCs or LPRs needed to wait in line until an immigrant visa became available to them in order to adjust status to permanent residence, due to congressional limitations on the issuance of immigrant visas. Depending on the foreign national’s country of citizenship, preference category, and priority date this process could take decades. The Visa Bulletin cut off dates provided on the ‘final action date’ chart which previously dictated the issuance of visas, was not only antiquated but discouraged immigration to the United States especially for highly skilled workers. With the introduction of the ‘date of filing chart’ on September 9, 2015 earlier dates were introduced making the process much more practical and efficient. Under this system, highly skilled immigrant workers and family-based applicants residing in the United States lawfully would be able to apply for an employment authorization card, instead of waiting in line for an unreasonable amount of time before being able to apply for immigration benefits. On September 25, 2015 the DOS scaled back the dates of filing significantly adding that the revised dates of filing superseded dates initially released on September 9, 2015. The uproar that ensued mounted enough political pressure on Congressional Democrats to challenge these revisions formally. According to the letter, estimates suggest that the revisions made to the date of filing chart cut down eligibility rates by 80-95% of individuals who would have qualified with the initial dates released on September 9, 2015. House Democrats deem that these actions are within the Department of State’s legal authority. In complying with these actions, the DOS would acknowledge the hardships immigrants have had to face due to their lack of oversight. Many have already made life altering decisions that cannot be reversed and paid out large sums of money to have their immigration paperwork prepared. House Democrats cite Class Action for Declaratory & Injunctive Relief Mehta v. Kerry, et. al as a case in point as evidence of the hardships immigrants have faced including lost wages and job offer rejections. In one example a foreign worker rejected an employer’s job offer that would have granted them financial stability and peace of mind in retaining lawful status. Unfortunately, the personal lives of immigrants have been greatly affected by the actions of the DOS. Without necessary reform of our country’s visa system, American employers will lose out on retaining the highly skilled foreign workers they have expended great resources on. Additionally, skilled immigrants will likely become disenchanted with the lack of initiative and take their talent elsewhere. We must now wait and see, if at all, they will respond affirmatively. 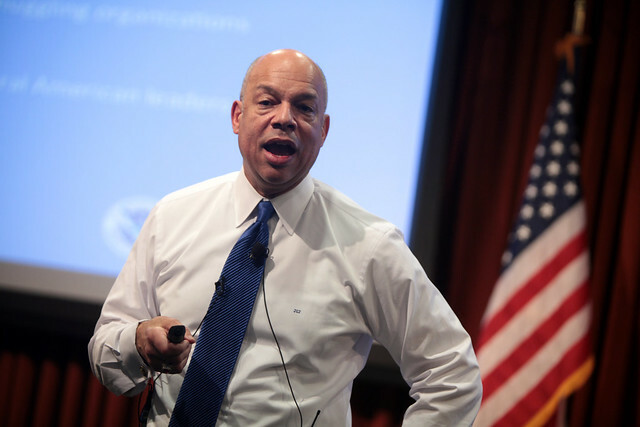 To view the complete letter to Jeh Johnson, click here.